ItemB-00333 - The SS Robert C. Hammond At Prince George. ItemA-00007 - Wreck of the Barnard Castle, on Rosedale Reef, near Race Rocks, beached on Bentick Island, near Victoria. ItemG-07112 - The Cunard R.M.S. Batavia; later to become the SS Tacoma. 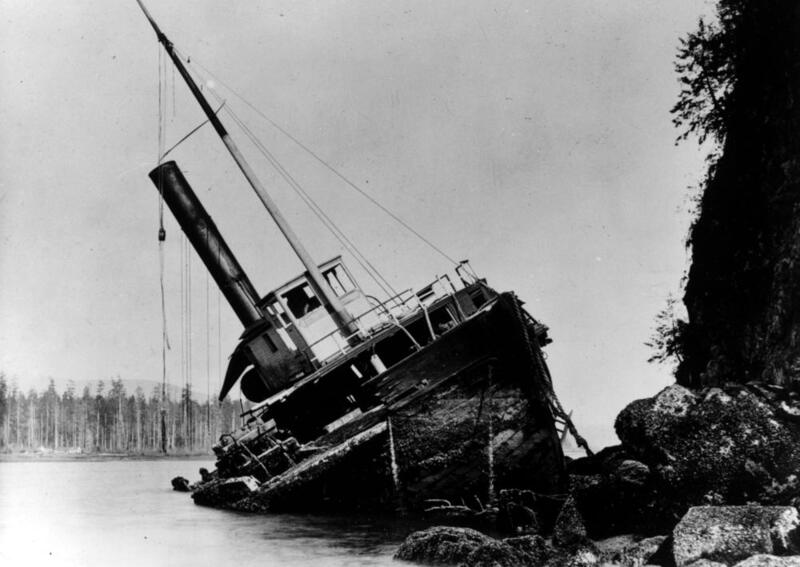 ItemA-00014 - Wreck Of The SS Beaver At Prospect Point, Vancouver. ItemA-05520 - The SS Colonel Moody; the second steamer built in Victoria district. ItemF-05015 - Crew Of The SS Aberdeen. ItemG-07208 - Crew Of The SS Aberdeen. ItemA-01044 - SS Aberdeen In Ice On Okanagan Lake. Item A-00014 - Wreck Of The SS Beaver At Prospect Point, Vancouver.